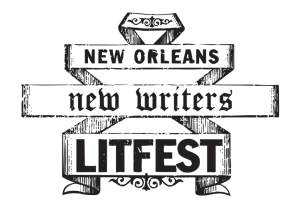 Lusher Charter High School and New Orleans Center for Creative Arts are collaborating once again to produce the eighth year of a remarkable day-long event for high school students: New Orleans New Writers Literary Festival. The Festival, coordinated by Lusher faculty member Brad Richard and NOCCA faculty member Lara Naughton, draws nearly 150 young writers from the New Orleans area who come together to learn new skills, share ideas and celebrate the writing life. “LitFest is a great environment to be in to experiment with writing, make new writer-friends from all over the city, and learn from professional writers who don’t hold back sharing what they know,” said high school student Khipper Thompson. I’ll be teaching two sessions on creative non-fiction and writing the hypothetical. Local teens, sign up! I’m teaching a class called Writing The Personal Essay for the Walker Percy Center. We will read and discuss the writing of essayists such as David Sedaris, Eula Biss, Joan Didion, John Jeremiah Sullivan, and others, paying special attention to the literary elements that make good writing come alive. Short, generative writing exercises will give students the opportunity to practice specific craft skills, leading up to a final project, a personal essay which we will workshop toward revision. We will also look at markets for creative nonfiction and at the process of submitting work for publication. I’d love for you to join us! Check out my class and the other fantastic writing classes the Walker Percy Center sponsors HERE!